Aside from Leia’s bikini, Han Solo’s outfit is easily the most recognizable Star Wars costume you can assemble, and it’s easier to put together than you’d think. 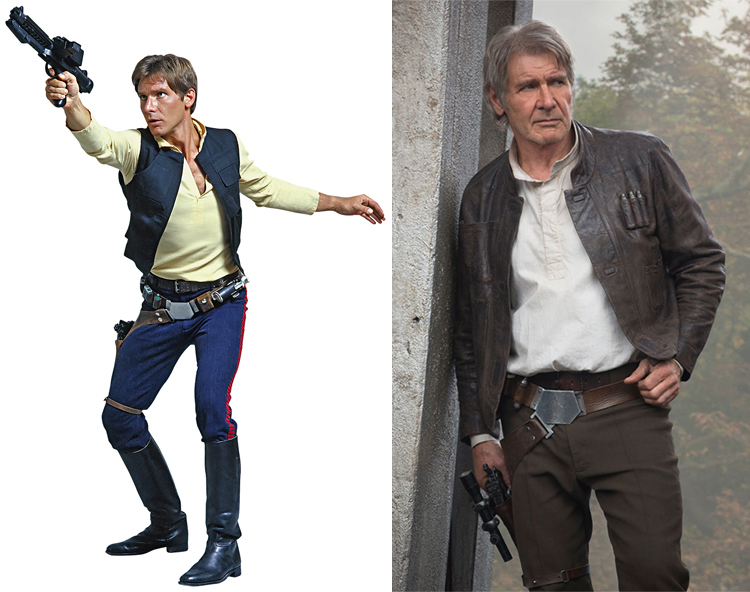 Han Solo has two distinct looks, either a vest or a jacket. 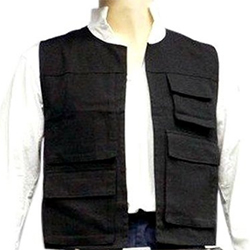 This vest is about as close a replica you’re going to be able to find, and it’s much higher quality than the junk costumes you can find online or in pop-up Halloween stores. The jacket linked above, however, is an extremely high quality replica and looks indistinguishable from the jacket Han wears in the movies. 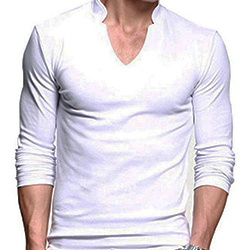 Already have a long-sleeve or three-quarter sleeve white shirt with an v-neck and slight collar? Perfect. If not, this one will do the trick nicely. Han’s shirt isn’t the most recognizable part of his costume, but if you aren’t at least close, it can throw the whole outfit off. Although his original shirt is more of an off-white, no one but purists will call you out on it and this should work with either version of Han’s outfit. If you’re going for the original look, you’ve got two options. 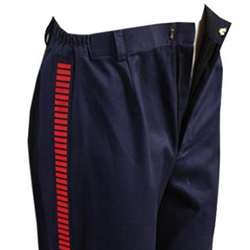 The pants linked above are the perfect replica, red side-stripes and all. Alternately, you can pick up a pair of dark blue slacks and cut some red duct tape into small strips and do it yourself. If you’re going for Han’s later leather jacket look, a pair of dark brown slacks will do the job nicely. Gotta store your blaster somewhere, so you may as well get the one that is as close to Han’s as I’ve ever seen. It isn’t real leather, as I’m sure Han’s is, but it sure looks the part. 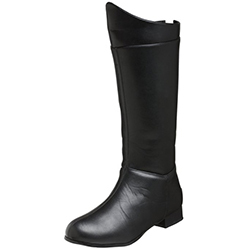 Got a pair of tall black leather boots already? Perfect. 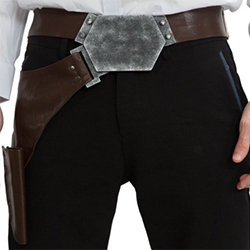 If not, these not only fit the costume perfectly, but they’re high quality and will serve you quite well even after you’ve worn your Han Solo costume. Never forget, Han shot first. 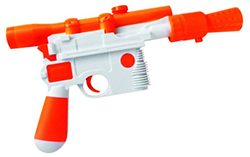 Sure, this one is only a toy blaster and it’s orange instead of black, but if you feel like getting shot by the cops, spray paint this thing black and no one will know are aren’t really shooting at Storm Troopers.